. 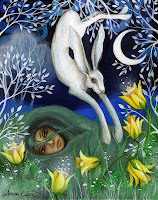 . . [M]ost folklore material concerned with the hare, whether informed by sympathetic magic or not, appears to support its connection with an ancient religion: the worship of the Mother Goddess, the deity that Robert Graves has characterized as the White Goddess. 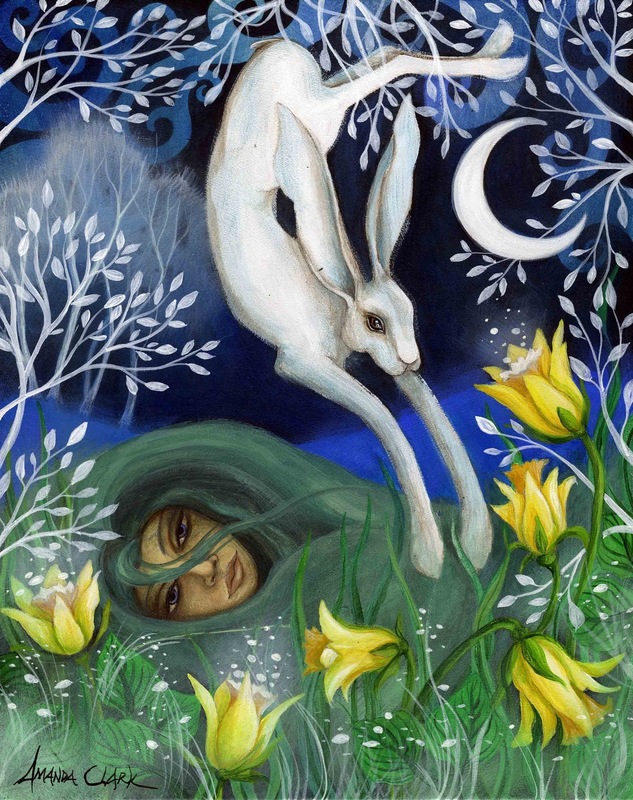 The whole of the complex witch-connections of the hare can, in fact, be regarded from one angle as the vestiges of the worship of the White Goddess. 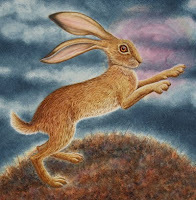 Both the hare and the cat were sacred to her, and in the superstitions, which are the squandered legacy of the old religious beliefs, the hare and the cat have become the witches' familiars. What a great story/encounter. Thanks for sharing. It's fascinating to follow your relationship with your Hare friend, and your changing perception/understanding of it. 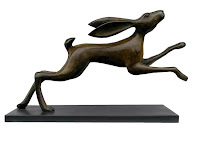 I'm honored that you consider this blog of assistance to you in this regard.